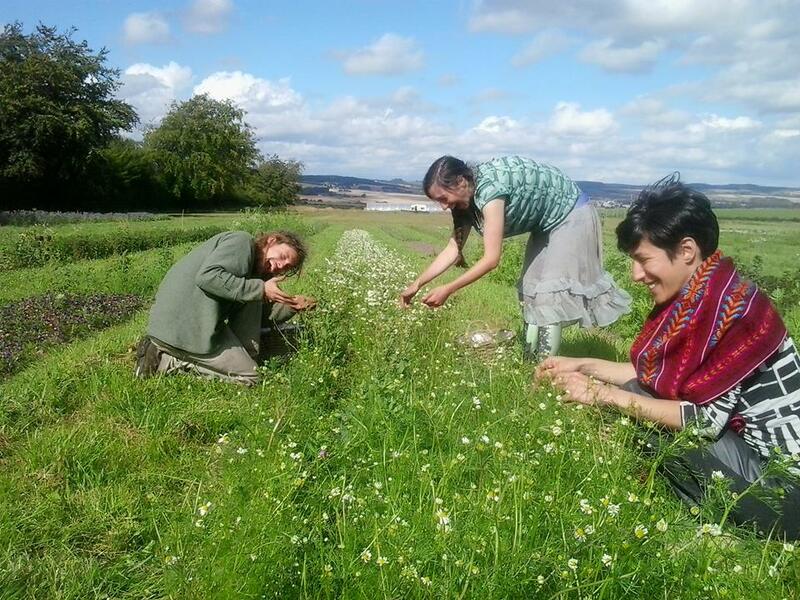 Starting later this month I will be hosting a four season herbal course at Meadowsweet Organics. It will begin on Sunday 26th February when we will be exploring what’s available in the winter and focusing on using roots in herbal medicine. 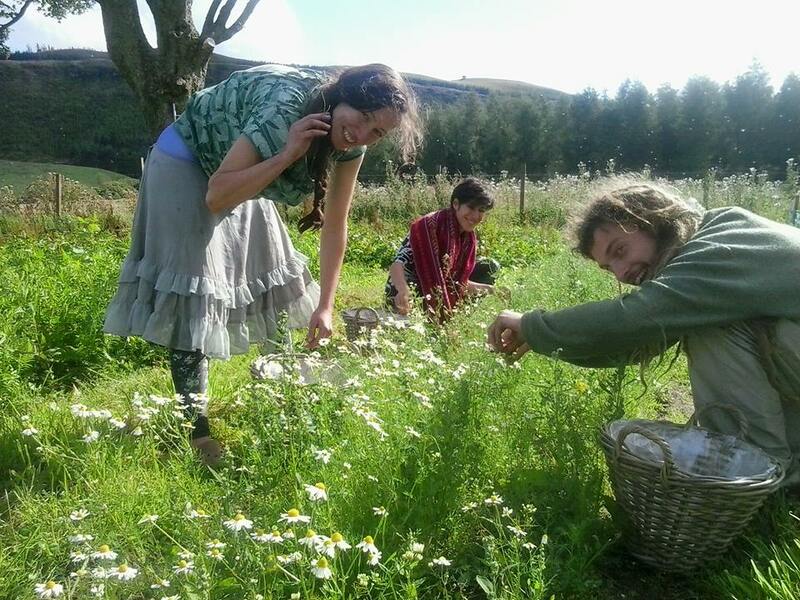 Each session will include a herb walk and practical herbal medicine making session, in the first one we will learn how to make an infusion, decoction and herbal vinegar. The Spring session will be a very exciting one focusing on leaves and we will go on a herbwalk around the Falkland Estate and learn how to make infused oils and poultices with a focus on first aid and nutrition. 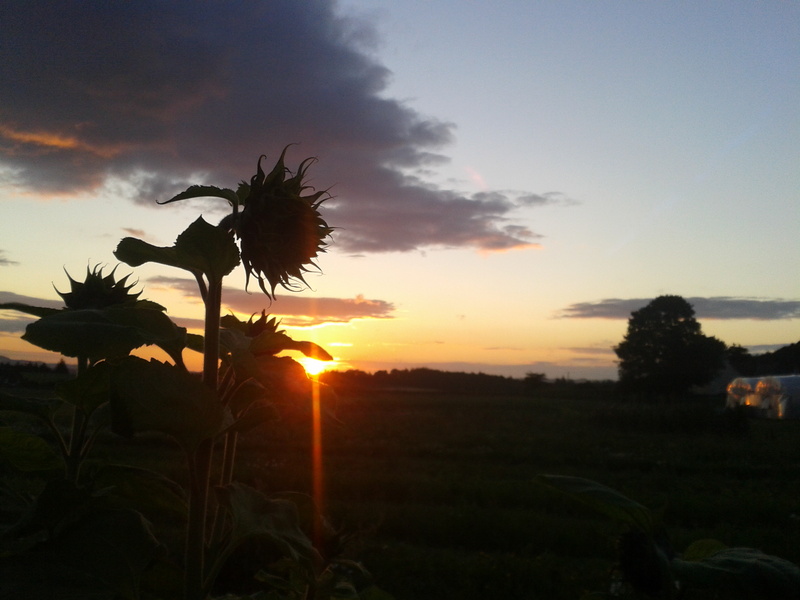 In the Summer we will look at medicinal herbs and flowers growing on the farm and make herbal balms and tea blends. The autumn session will be all about harvesting, storing and making remedies for the winter with a focus on fruits and we will make tinctures and syrups and look at the immune system. Throughout the course you will have the chance to create your own herbal through note taking and picture taking or drawing the herbs that we explore, so it’s easy for you to refer back to it in the future as you build up your herbal knowledge. You will also develop your herbal medicine kit and skills in medicine making as we will create new remedies each time. By the end of the course you will have more confidence in using herbs for yourself and your family as well as growing and foraging for yourself. You will also have a good opportunity to meet other interested in herbs as all of the sessions will include lunch with a good opportunity for socializing and discussions. Each sessions costs £30 or £100 for the whole season and a deposit will be required to secure your place. See attached flyer for 2017 dates. It all started in the Spring when all the herbs I planted last year started to pop up and I started weeding again. Above is comfrey, st johns wort, mullein, valerian and echinacea. In the Spring there’s always lots of sowing and potting on to be done in the polytunnel. 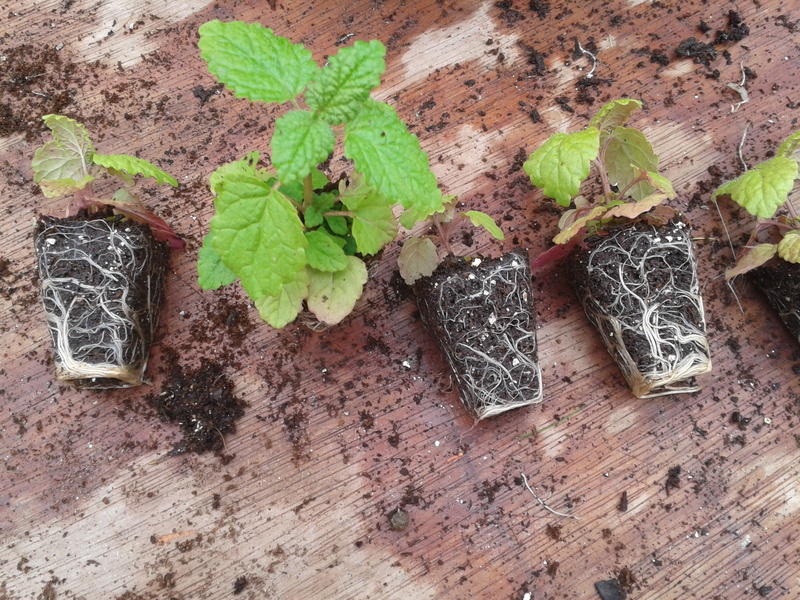 I did lots of experimenting this year after ordering lots of exciting new herb seed from my favorite herb seed company; https://strictlymedicinalseeds.com/ including uva ursi, passionflower, angelica sinensis, agrimony, true comfrey and rhodiola (the last 3 are pictured above). There were lots of herbs to harvest this year! Most herb are perrenials, so they are much more productive in the second year after storing up energy over the winter. Pictured above is red clover, which we grew as a green manure, lemon balm, peppermint, wildcrafted elderflower and st john’s wort, which usually flowers on midsummer’s day, but always seems to be a little later in Scotland.. Once harvested everything goes straight in the herb dryer. 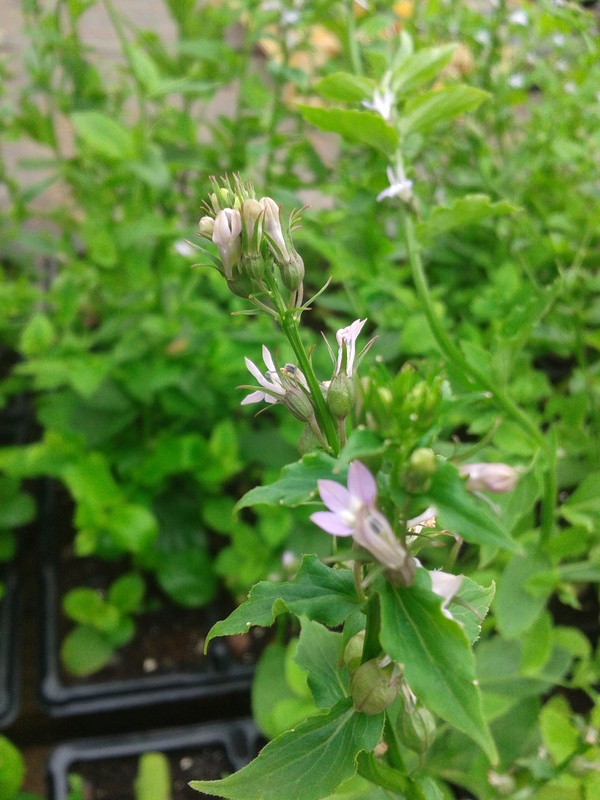 Here is wildcrafted Meadowsweet, our namesake! that I collected in July and am currently making an infused oil from to help with muscular aches and pains. A selection of the herbs ready for picking in August; fennel, borage, st johns wort, thyme, yarrow, self heal, peppermint, rosemary, echinacea, chamomile and marshmallow! Even though it’s super busy in the middle of the summer, I still make time for making herbal products. Here’s some of our tea blends, calendula infused oil and st johns wort balm. Here’s our first ever passion flower in the polytunnel in September! And then things got crazy! and the rest of the summer was very busy and lots of things disappeared under weeds and lots of things didn’t get planted out. So there’s going to be lots to catch up on in 2017! These pictures (above) were taken on our open day in September. So, now it’s winter and all the herbs are in hibernation and so am I and planning ahead to 2017. We’ve sold out of all our herbal tea blends from this year, but I still have some dried herbs left including; st johns wort, vervain, comfrey, mullein, calendula and yarrow and some calendula and yarrow balms; you can buy these from our website or get in touch with me at rosy@meadowsweet-organics.co.uk. Looking forward to a green and productive 2017! The herb of the sun! 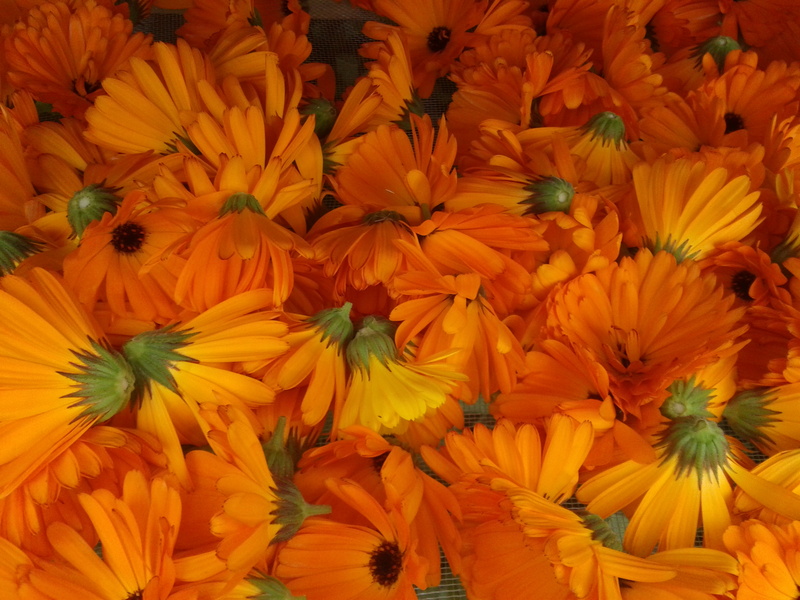 Calendula is said to be an excellent wound herb perfect for making into infused oils, ointments & balms for first aid situations. It may have anti-inflammatory, antiseptic properties and helps to stop bleeding. Healing inside and out; calendula can also be used internally to boost the immune system and helps to reduce lymphatic congestion and is said to have an affinity for the female reproductive system as well as bringing light and healing to deep, dark places in the body. The herb of courage. 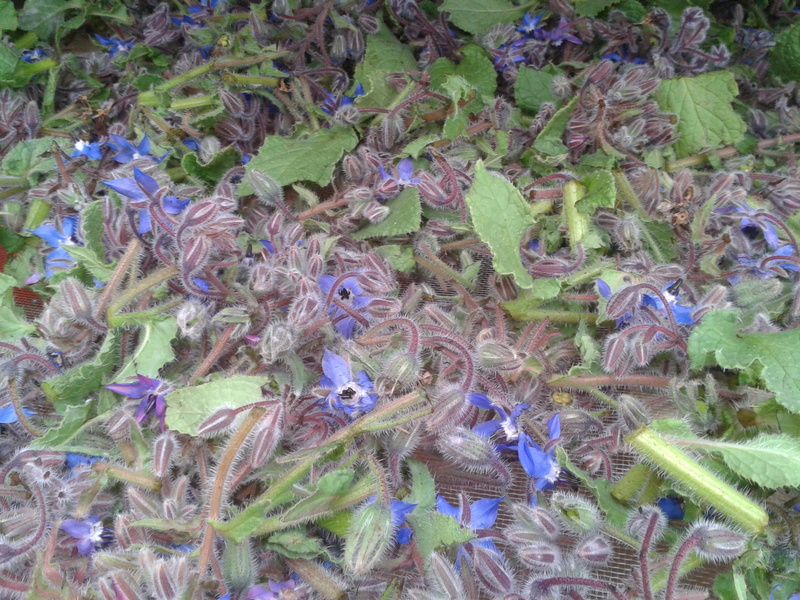 The word ‘borago’ come from ‘courago’ from ‘cour’; French for the heart helping us to find strength and courage in our daily lives, an excellent herb tonic. This lovely herb is also said to work to revive and renew the adrenal glands, which especially useful during or after times of stress. It is also said to be a good herb for nursing mothers as well as having anti-inflammatory properties and helpful to the skin and lungs. The herb of the head. 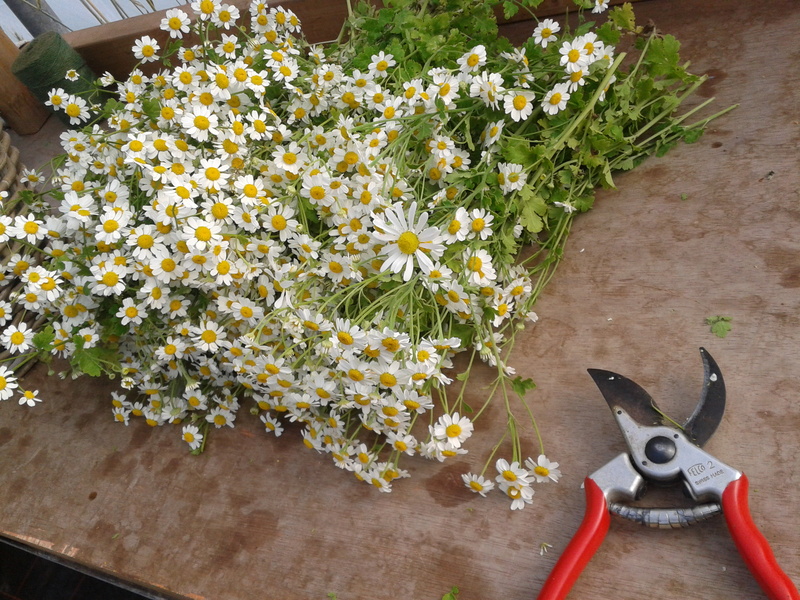 Feverfew has a reputation as a remedy for headaches and migraines. It is a very bitter herb suggesting it’s use as a good herb for the digestive system and that only a small amount needs to be used at a time. 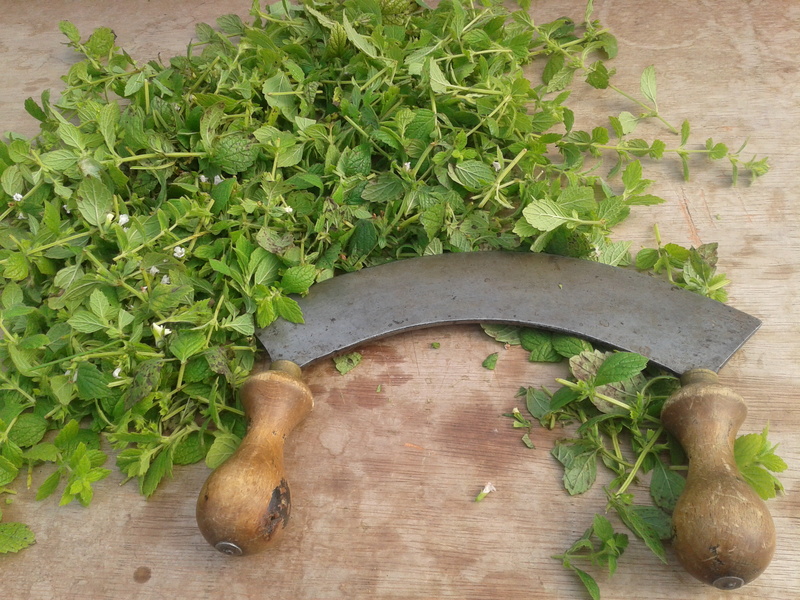 It has also been said to help ease dizziness and tinnitus also and it’s traditional use can be guessed from it’s name; being used for fevers and to encourage sweating. Good when used in combination with lavender and lemonbalm (tastes better too!). This herb should not be used during pregnancy. The bitter herb. Another bitter tasting herb (even more than feverfew). Used traditionally as a digestive bitter and for getting rid of worms from the intestinal tract. It has also been used to stimulate menstruation and should not be used in pregnancy or for a long period of time. The herb of bones. Comfrey is said to be a powerful healing agent to the skin, bones and in digestive situations including ulcers, hernia and colitis. Traditionally it is known as ‘knitbone’ used to help heal broken bones after they have been set. It’s other external uses include treatment of varicose ulcers and scar healing/prevention as well as to speed wound healing. 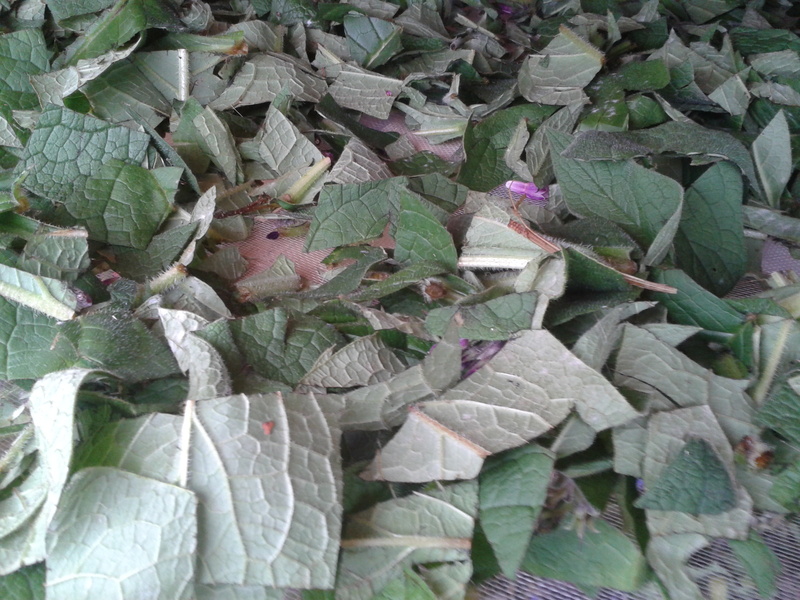 Comfrey is also said to have an affinity to the lungs and has been used for irritable coughs. 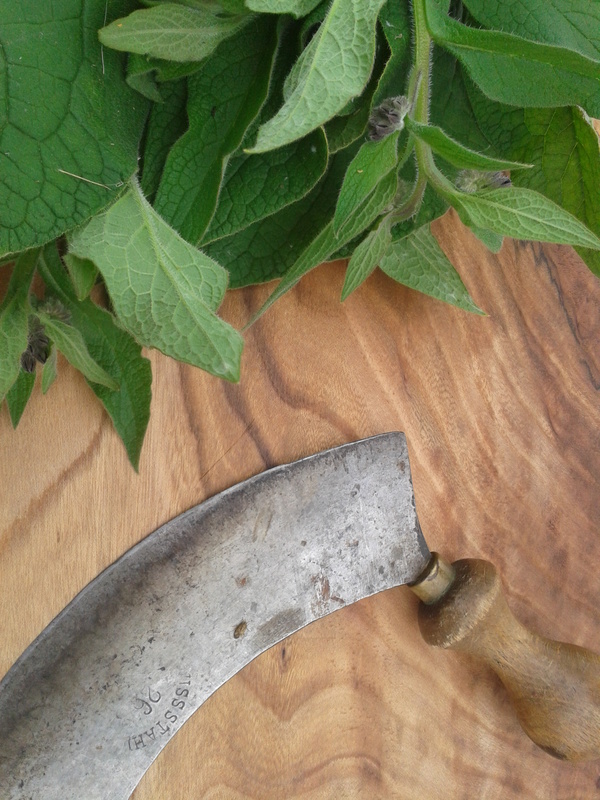 This is another great herb to make into healing oils, salves and ointments for first aid situations, however comfrey should not be applied to very deep wounds. The herb of cats. Please not that this is catmint and not catnip. 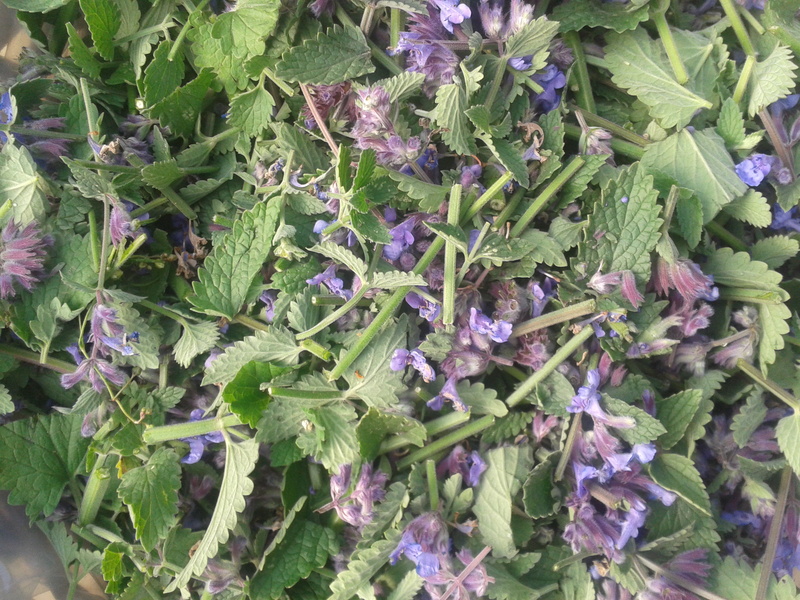 Catnip is said to be more medicinal than this one, however cats are still extremely attracted to it and it does still posses the same medicinal properties as catnip including calming the human nervous system and easing stomach upsets. 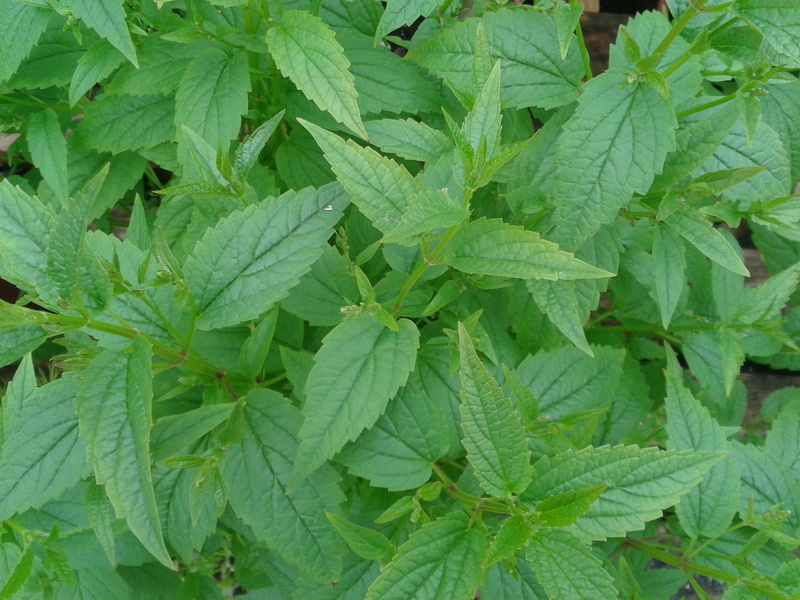 Closely related to peppermint and spearmint with an unusual flavor. This herb is said to be good for calming digestion and the nerves. It is also traditionally used for treatment of flus, fevers and colds. All of these herbs are now available in dried and chopped form on the shop page of my website http://www.meadowsweet-organics.co.uk and are 100% organic, 100% Scottish and 100% Meadowsweet Organics having been harvested, chopped, dried and packed on the farm. Enjoy! All of a sudden it’s Autumn! 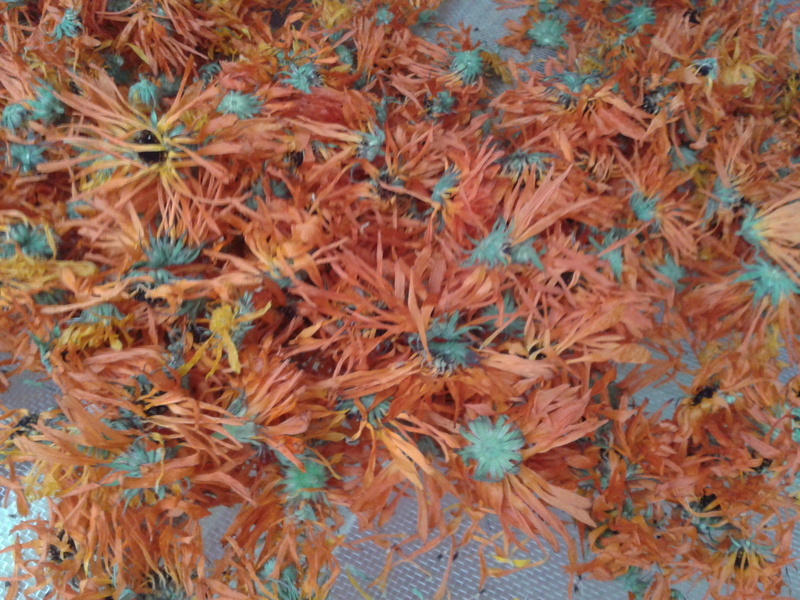 and even nearly November and that means it time to start processing all the herbs that we dried over the Summer. This week I have been moving all the bagged and boxed herbs from their cool, dry, ventilated place to a warm, dry, ventilated place until they are ready for sale. I have also been putting them through a mesh to attempt to remove stems from the finished product. 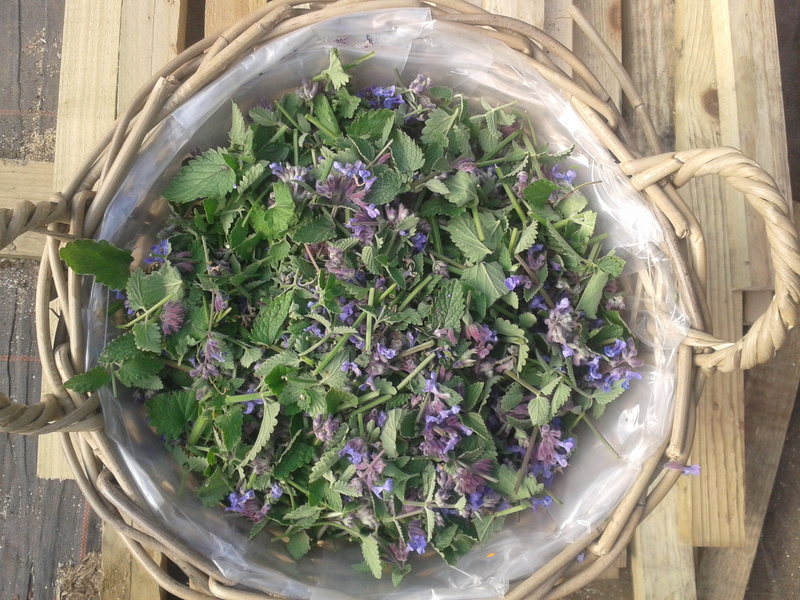 Dried herbs will be available from our website http://www.meadowsweet-organics.co.uk from next week and there will be; calendula, grapefruit mint, feverfew, comfrey leaf, borage, catmint, tansy & lemonbalm available in 30g bags. Over the next couple of weeks I will also be producing two herbal tea varieties, infused oils, skin salves & a lipbalm, which will also be available via the website. I will keep you posted about this. So, recipe experimentation is ahead! In the herb field things are beginning to die back due to the cold weather with other’s still going strong including comfrey, fennel, mints and marigold. 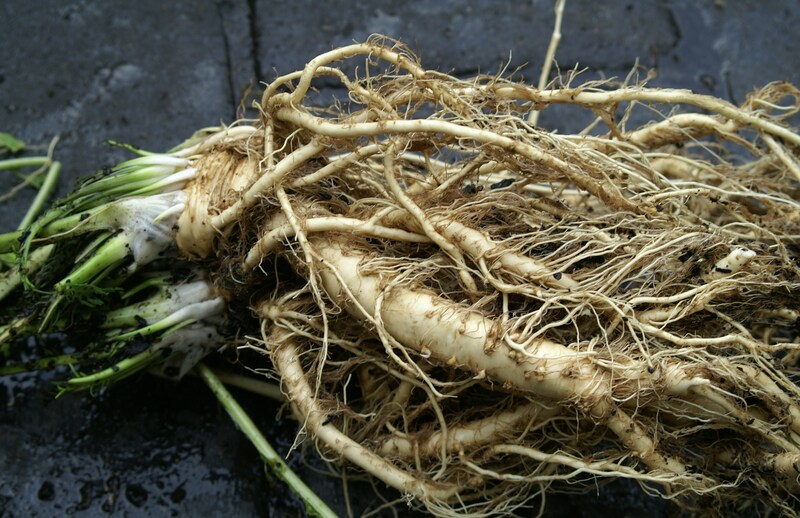 Yesterday, I dug up the first horseradish roots, which are promising and I will chop it up and add to apple cider vinegar as a warming winter tonic, I will harvest the rest of the roots next month and also sell these via the website and put some in the herb dryer to preserve them. I have taken potted herbs into the polytunnel to protect them from the cold and will plant them out in the Spring. I am hoping to do some wild foraging this week for hawthorn berries, elderberries and rosehips when there’s a nice day. More soon! 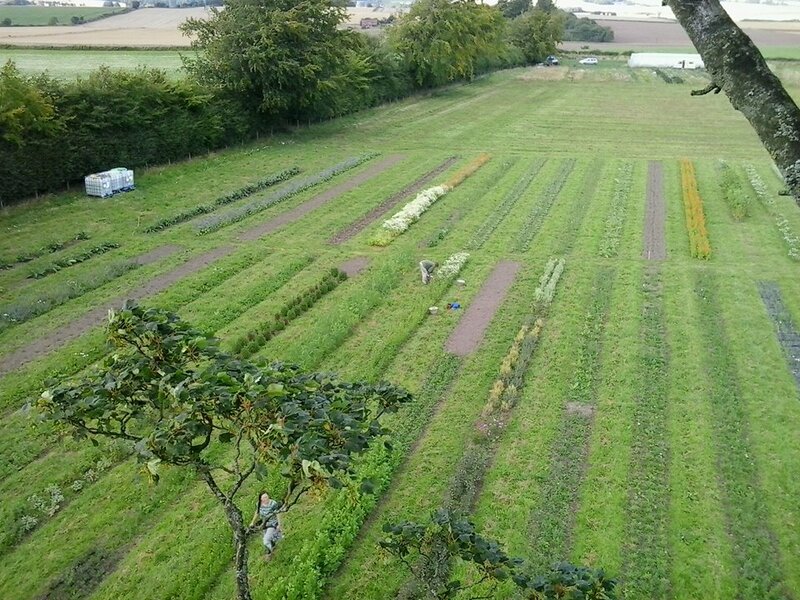 Hopefully I will have more time for this kind of thing from now on..
and a view of the of the herb area from above!.. We’ve been busy! 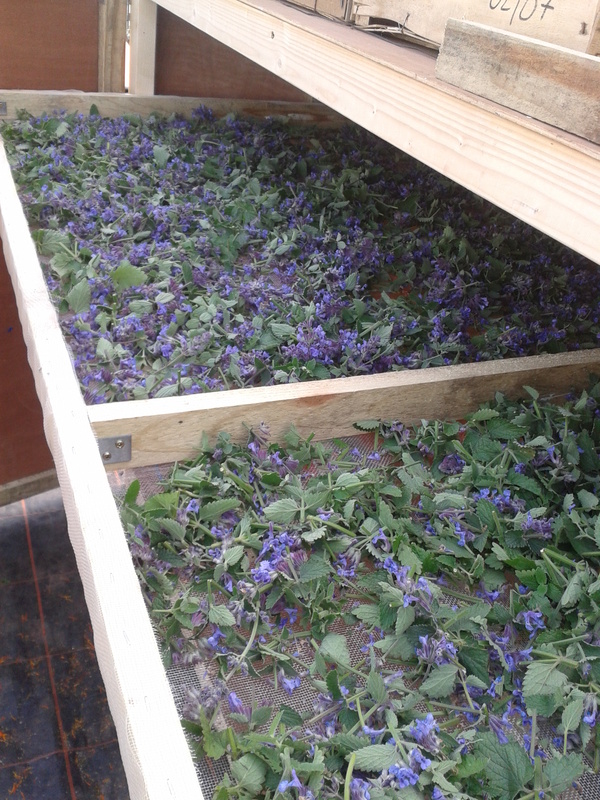 There are many herbs ready for harvesting right now, so myself and the herb dryer have been working full time! 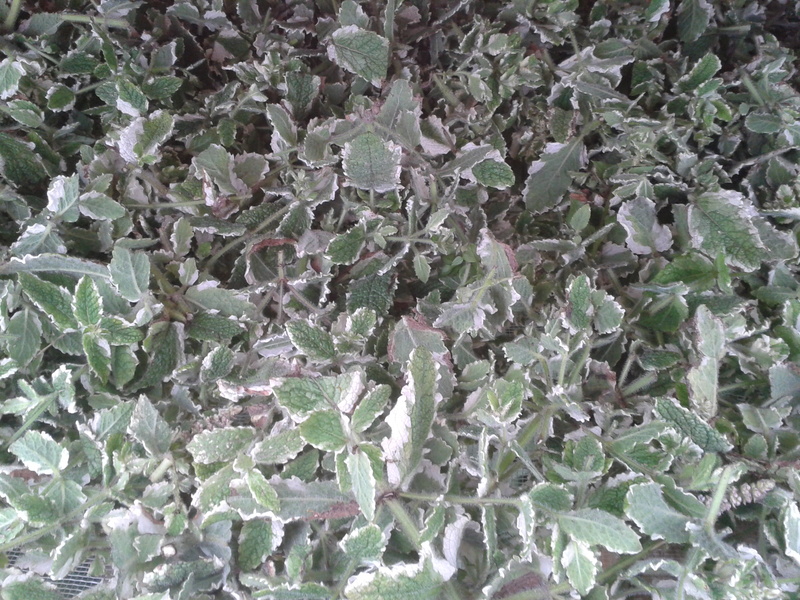 Here is lemon balm and feverfew ready for chopping after harvest. There’s been lots of feverfew ready, but not so much lemon balm for this year although I am planting up a big bed of it for a bumper harvest in 2016! For chopping the herbs I am using either secateurs for thicker stems or this vintage swiss herb chopper that I got from ebay and this beautiful beech chopping board made by Dave of Hollytree Woodcrafts http://www.hollytreewoodcrafts.co.uk/default.html ,which I’m sure will last a good few years! I am about to start processing the herbs I have dried so far into mixes, teas and balms, which will be up for sale locally and on our website shortly. Lots of work to do! 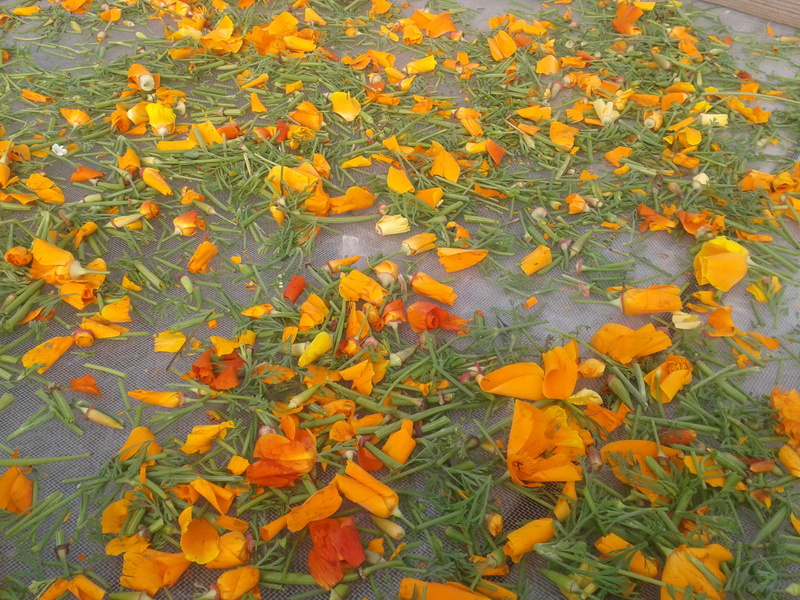 Here (below) is the final result of the dried marigold, which I am very happy with as it still smells like and looks like the original product and has kept it’s colour quite vibrantly, which is important for quality dried herbs. Storage is the next challenge and I am storing them in sealed plastic bags in sealed plastic boxes in a cool, dry environment. 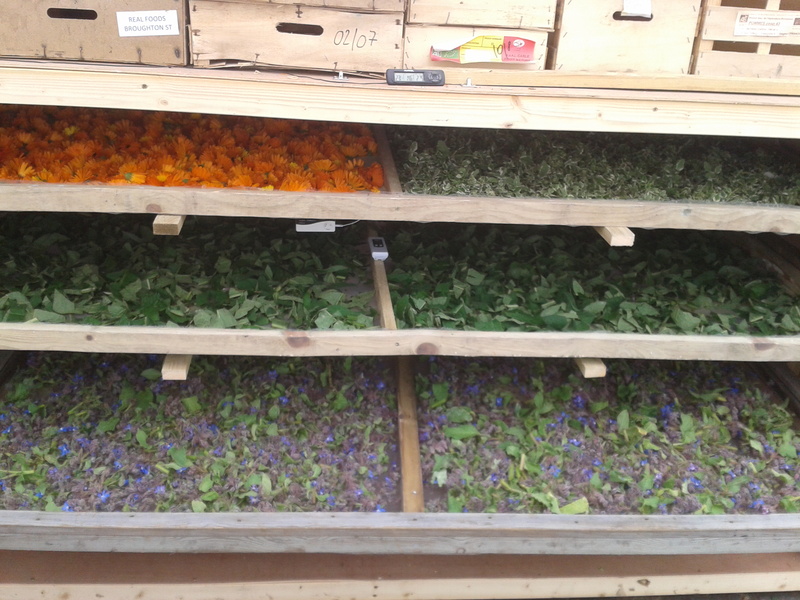 A second shelf has been built and this time we are drying catmint (not quite as medicinal as catnip), california poppy and more marigold!